Players Club Hilton Head offers a relaxing and fun retreat on the coast of South Carolina. 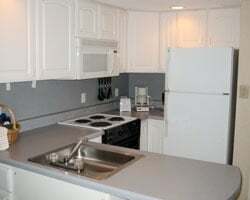 You can buy or rent one of these stunning units through SellMyTimeshareNow.com and uncover savings up to 70% off retail. What’s My Players Club Resort Timeshare Worth? Stunning beaches, scenic golf courses, pristine natural trails, and a wealth of shops and restaurants are just a handful of conveniences you will find with a vacation at Players Club Hilton Head Island. 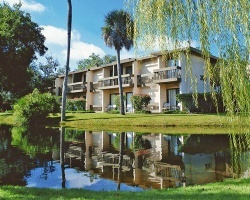 This beautiful resort offers a great location and access to the best that coastal South Carolina has to offer. Enjoy indoor and outdoor swimming pools, a high-end health center with a fitness room, hot tubs, exercise classes, and plenty of surface-lighted tennis courts for you to play on. Walk to the beach, shops, and restaurants just minutes away while taking in all the natural beauty of Hilton Head Island with your family. Four different floor plans are available at Players Club Resort. Cozy studios up to two-bedroom loft suites are perfect for any sized travel group. All come equipped with private balconies or patios, full bathrooms, living areas, sofa beds, full kitchens, and cable television. Four to six guests can sleep in each unit depending on the size, making it easy to bring the whole family and have everything you need right at your fingertips. Find your ideal family getaway in Players Club Hilton Head Island today by completing the form on the right or calling us at 1-877-815-4227. We'll help direct you to the perfect timeshare resale or rental to fit your needs and your budget. You can own a piece of paradise with a Players Club Hilton Head timeshare for a price that won't break the bank. The timeshare resale market is the best place to shop for Players Club Resort timeshares, and you'll find a great selection of by-owner advertised units with prices up to 70% off retail. This is because owners advertise their properties based on the true market value. Whereas when you buy from the resort developer, they charge a hefty sales commission, taxes, and fees in addition to the actual price of the timeshare. This price difference will save you thousands on the same ownership, allowing you to enjoy all the benefits of timeshares for less! Our resale inventory at Players Club Resort features deeded fixed weeks with annual usage. Each Bluegreen timeshare is assigned a specific number of points that can be used to customize your vacations or internally exchange within their network to travel somewhere else, giving you full flexibility to vacation as you wish! Buying a Players Club Resort timeshare resale automatically allows you to enjoy all the great benefits of the Bluegreen Vacation Club. This membership is a points-based program that allows you to customize your annual getaways. Each Bluegreen timeshare comes with an allotted number of points that can be used to internally exchange. 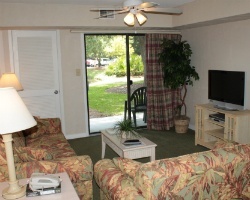 You can reserve a vacation at Players Club Resort, or any of the resorts within the Bluegreen resort network. Enjoy dozens of incredible resort properties to visit, plus thousands of additional options through external exchange. For even more exchange options outside of the Bluegreen network, Players Club Resort is an affiliate of both RCI and Interval International. These two leaders in external exchange each have their own extensive networks of affiliated vacation ownership resort properties located all over the world. With thousands of properties to choose from, RCI and Interval International make it easy and affordable to travel anywhere your heart desires. With this affiliation, Players Club Resort timeshare owners can purchase one or both annual memberships and deposit their timeshare in exchange for a vacation at any other affiliated resort of their choosing. External exchange is a convenient and affordable way to make the most out of your timeshare ownership and see the world! Indulge in a tranquil getaway at Players Club Hilton Head Island. The natural beauty of coastal Carolina is evident by the meticulously maintained grounds and local flora and fauna everywhere you turn. On-site amenities include a state-of-the-art health club, 28 Har-Tru surface-lighted tennis courts, privileges to play at the Van Der Meer Tennis Center, indoor heated pool, hot tub, yoga and Pilates classes, and an outdoor pool. This family-friendly destination offers a wide range of activities both indoors and out. Just three blocks away you'll find Coligny Beach, with the Island boating 12 miles of gorgeous beaches to enjoy. Other local finds include 24 golf courses, 200 outlets and stores, a wide range of restaurants and bars, and 50 miles of public walking and biking trails. Hilton Head Island will give you the escape you crave without having to go too far from home. It is a magical and unique location that will provide you with a lifetime of special family memories each time you return. Already Own at Players Club Resort?